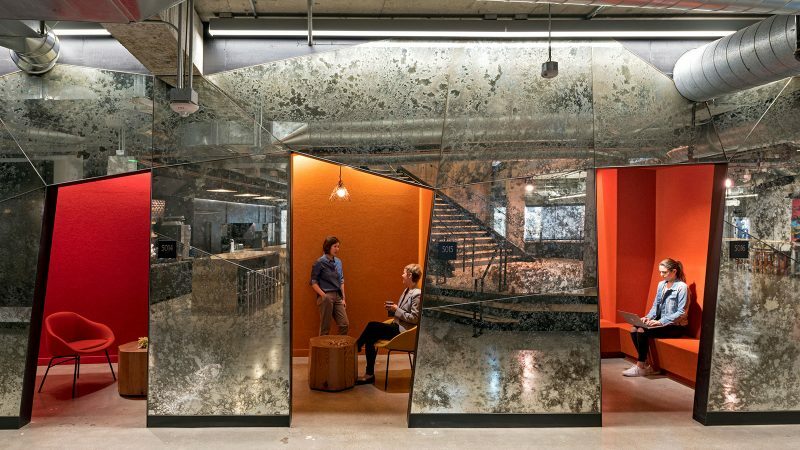 Capital One’s Work Environment Survey— carried out by Wakefield Research— was recently released, showing that office configuration and format holds a whole lot of weight for the American worker: when the time comes for a new job, 71% of millennial respondents thought that “workplace design and environment” was just as or more significant than where the office is geographically. According to the research, these were among the things people wanted the most when it comes to their workplaces: 62% said natural light, 43% said furniture and areas that are “reconfigurable” in a pinch, and 44% wanted to see “creative imagery” and art. Confused about what these young people want? Here are the top three items this group listed “when asked to prioritize on-site benefits:” 33% said fitness and health centers and initiatives, 36% said areas to gather and decompress, and 39% craved food and drinks that were good for them. Employers, take note: people are actually paying attention to office layout— whether or not a potential hire likes your space might even have an impact whether or not they join your company. Jane Burnett is a reporter for Ladders based in New York City. She is a former Reuters Assistant Virtual Reality Producer, where she produced 360° videos and slideshows on the company’s first-ever team of its kind. Throughout college, she was a four-summer intern at CNBC Global Headquarters through the Emma Bowen Foundation for Minority Interests in Media. She also ran a fashion blog and studied Communications and Sociology while abroad at the American University of Rome. Jane is a May 2016 graduate of the American University School of Communications in Washington, D.C.